Still providing the same superb service for all makes of vehicle including Volvo, Ford, Volkswagen & Vauxhall and still with David Brown at the helm but now with a large team of skilled mechanics and engine specialists and huge premises. Volvo specialist with over 14 years time served with Volvo in Sheffield Browns Autocare are passionate about Volvo and provide expert Volvo Servicing and Volvo repairs. All our used cars for sale undergo safety checks in our Chesterfield workshop. Most of our cars for sale come with 12 months M.O.T and are available for a test drive Monday to Friday (8am - 5pm) and Saturdays (8am - 12pm). See more cars for sale in Sheffield. We have a large stock of used Volvos for sale at our Volvo car sales site in Dronfield, Chesterfield. We are only 5 minutes from Sheffield South. 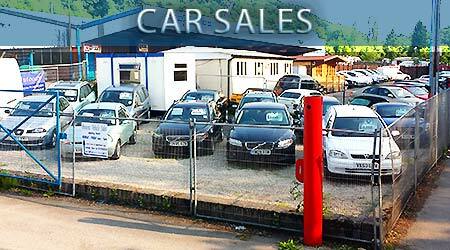 We also have cars for sale from many other manufacturers and can take your old car in part exchange. Call us on: 01246-455863. We supply and fit new tyres at our garage Dronfield garage in Chesterfield. See more new tyres. Tyres of all sizes to fit most cars and vans from many manufacturers including brand leaders and budget tyres. Full tyre fitting, wheel balancing, laser wheel alignment and a large stock of popular new tyres fitted while you wait. Is your cars air conditioning not as cold as it should be? Fed up of your cars air conditioning just not working anymore? It maybe that your cars air conditioning needs a simple re-gas. See more car air conditioning problems. Fully certified to regulation EC 307/2008 let us re gas your car air conditioning system at our garage in Chesterfield near Sheffield. We add a leak tracer to every air conditioning re-gas free of charge. We can also repair and service your air conditioning if it needs more than just a simple re gas. Wondering where Brown's Pengy is this week? 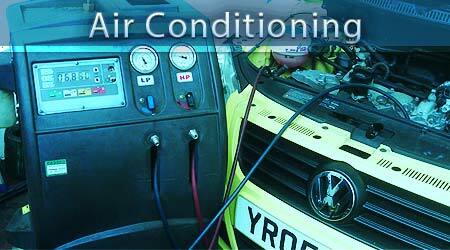 Get your car air conditioning re-gassed at our Dronfield garage in Chesterfield near Sheffield. More cars for sale in Sheffield and Chesterfield. We offer Volvo dealer service standards covering Sheffield and Chesterfield. Our new tyre fitting equipment is now installed. So much quicker than our old kit. Our garage is all shiny and new after refitting. With 2 new ramps and a bright open new look we are open once again for all your car repairs and car servicing needs. lst class Volvo dealer service in Sheffield and Volvo dealer service in Chesterfield. We carry out all Volvo repairs at our Dronfield garage by our Volvo trained technicians. Car service in Sheffield for any make or model of car. From Ford and Vauxhall to Audi and Bmw. Car repairs in Chesterfield also covering south Sheffield. We can repair any fault. We can service and repair any car or light commercial vehicle regardless of manufacturer or age and we are now part of the Excel Automotives. From your cars very first service we provide 1st class car servicing for Sheffield and car servicing for Chesterfield from our Dronfield garage. 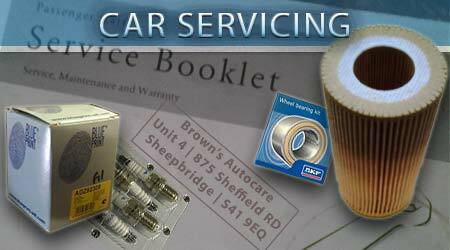 See more car servicing in Sheffield. Browns Autocare specialise in all Volvo service, Volvo repairs and Volvo sales. 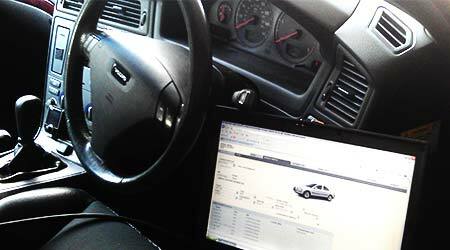 We also service and repair cars from all other manufacturers. Please get in touch with our Dronfield garage to book your cars next service. We cover Chesterfield and Sheffield, South Yorkshire. See more about Brown's Autocare. 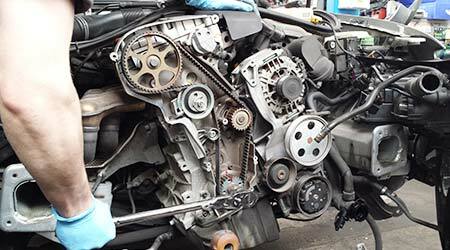 Need Car Servicing in Sheffield? Car servicing and car repairs for all manufacturers covering all of Sheffield and Chesterfield. We are also Volvo specialists providing Volvo dealer service in Sheffield and Volvo dealer services in Chesterfield at a fraction of the Volvo dealers prices. Call us on 01246-455863 or visit our contact page for more ways to get in touch. How to contact Brown's Autocare. We stock many popular sizes of tyres including specialist tyres and winter tyres all ready for fitting for most cars and light commercial vehicles. 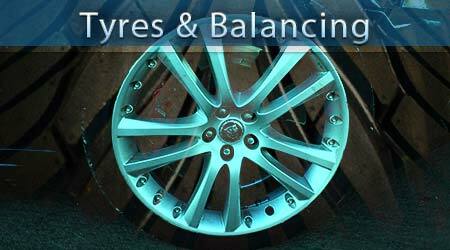 We have a full tyre fitting service along with wheel balancing and laser wheel alignment. Based in Chesterfield at Sheepbridge we are experts for tyre services covering Chesterfield and Sheffield. Volvo Sheffield, volvo service Chesterfield, car servicing in Chesterfield, air conditioning re gas Used Volvos for sale Sheffield, Sheffield volvo repairs, volvo repairs Chesterfield, Browns Autocare, car service ChesterfieldVOLVO SERVICE SHEFFIELD.